Dividend stocks aren’t just a great way to generate superior, risk-adjusted returns, they’re also a way to nurture future generations. After all, one of the greatest gifts you can give your children is financial security. Dividend stocks with solid yields that have been making payouts forever might not be the sexiest part of a portfolio, but they’re sure to be the most secure — and long-lived. Hey, don’t take it from us. Warren Buffett knows a thing or two about investing, and he says his preferred holding period is forever. It’s also worth noting that most of Berkshire Hathaway’s (BRK.B) holdings — and, indeed, all of its top holdings — are dividend stocks. When it comes to dividend stocks that you’ll pass down to your kids, you need a history of uninterrupted — and rising — payouts. Nothing clobbers a dividend stock like a dividend cut or suspension when times get tough. The other thing you’ll most certainly want in dividend stocks to give to your kids one day is a high probability that the company paying the dividend won’t go bust. No one knows what the future holds, but if a company has paid dividends for close to a century or more, chances are it won’t disappear in your own or your children’s (or even grandchildren’s) lifetimes. Based on that and other factors, here are 10 dividend stocks you’ll pass down to your kids one day. To his regret, Warren Buffett famously followed The Coca-Cola Co (KO) for something like 25 years before first buying shares in 1988. Today, Berkshire holds a 9% stake in the company worth about $16 billion. That’s a pretty good recommendation for KO stock right there. Sure, KO is having tough times lately as consumers move away from both sugary and artificially sweetened fizzy drinks, but something tells us this company won’t disappear anytime soon. Hey, KO first started paying dividends in 1893. It has paid quarterly dividends like clockwork since 1920. Add those dividends to the price appreciation, and KO has a total return of 380% over the last 20 years, according to buyupside.com. Stanley Works — now part of Stanley Black & Decker, Inc. (SWK) after a 2010 merger — has paid dividends since 1877. That’s right: SWK has been delivering income for nearly 140 years. If history is any guide, your great-grandchildren will still be collecting payouts from this stock. Partly that’s because SWK’s expertise — industrial tools and household appliances — never goes out of style. And ample levered free cash flow doesn’t hurt, either. Even after paying interest on debt, SWK generated more than $1 billion in free cash over the last 12 months. As for long-term performance, SWK generated a total return of 798% over the last 20 years, vs. 520% for the broader market. Think Colgate-Palmolive Company (CL) will still be around and paying dividends when your kids are reading your will? Well, CL has paid uninterrupted dividends since 1895, so the odds are certainly in your favor. Think about that: Through the Great Depression, two world wars and the Great Recession, Colgate never once missed a payment. Even better, Colgate has increased its dividend every year for 50 years. Dividend hikes are actually a critical part of dividend investing, because they can raise the effective yield on your original cost basis to truly epic levels. With a current payout ratio of about 60%, CL leaves itself with plenty of room to keep hiking that dividend, which — by the way — has generated superior growth. CL’s 20-year total return comes to 1,161%, clobbering the broader market. Procter & Gamble Co (PG), like CL, is a consumer products company that has paid dividends seemingly forever. What makes PG interesting is its history of reinvention to keep business healthy and the payouts coming. After a prolonged period of focusing on higher-margin brands, PG hit the skids recently. Now, it’s paring itself down, getting smaller and focusing on brands with more growth potential. The recent sale of the Duracell battery business is emblematic of the new strategy. Of course, when a company has been paying dividends since 1890, its successive management teams’ strategic changes have clearly worked out more often than not. Bottom line: Take a company that’s been around since the 19th century with a 20-year total return of 811%, and you’ve got a fine dividend stock to give to your kids one day. It seems like everyone hates the electric company, but when it comes to investing in dividend stocks, you’ve got to love the dependable, generous payouts utilities deliver. You want the lights to stay on? You pay your bill every month, and that steady stream of checks keeps the cash flow — and dividends — coming. Consolidated Edison, Inc. (ED) has paid dividends since 1885. Even better, ED has hiked its dividend for four decades now. Again, rising dividends mean the yield on an investors cost basis can get into double-digit percent territory if held long enough. Furthermore, utilities pay above-average dividends in order to compensate investors for regulatory risk and the related price caps on what they sell. Those fat yields have helped ED generate a total return of 620% over the last two decades. If you’re looking for stocks that will be around forever — and paying dividends all the while — energy stocks are about as good a bet as you can find. After all, it’s not like the world’s energy needs are getting smaller. Oil prices might be in a tailspin these days, but they won’t stay that way forever. Between population growth and economic development, energy use — even from fossil fuels — has an undeniable growth trajectory for a couple generations, if not more. Exxon Mobil Corporation (XOM) has been paying steady dividends since 1882. The roughly 40% drop in oil prices over the last six months hasn’t been great for XOM stock, but it’s been through tough times before. Remember, the Great Recession was only five years ago. And through it all, XOM has delivered market-crushing returns. Over the last 20 years, XOM generated a gain of 840%. Okay, with a current yield of 2.6%, the dividend isn’t blowing anyone away in the short term, but when a company has paid and raised it for a full century, the returns really add up. Remember, we’re talking about stocks you’ll give your kids one day. And as for DD sticking around for that long? This is a company that was founded in 1802. Thomas Jefferson was president, for crying out loud. More recently, DD has generated a 20-year total return of 370%. General Electric Company (GE) was founded by Thomas Edison, and the company has outlived him by some 80 years so far. So there’s every reason to expect this highly diversified and reasonably flexible industrial conglomerate to outlive you and your kids, too. GE has been paying dividends for more than a hundred years, but it did hit rough times during the financial crisis. Losses in its financial services business forced it to slash its payout, which was pretty horrible for anyone depending on that income, not to mention GE’s share price. The company has since restructured itself to rely far less on the finance business, and even after getting killed during the crisis, still managed to generate a 20-year total return of 395%. Okay, at just 1.5%, the yield on The Valspar Corp’s (VAL) dividend is pretty lame, even in these income-constrained times. But, again, we’re talking about dividend stocks that you’ll be able to give your kids one day, and VAL almost assuredly good for that. After all, the paint and coatings company was founded in 1806 and has increased dividends for 37 consecutive years. With a payout ratio of just 26%, it’s a very good bet that VAL will keep hiking that dividends for years — and probably decades — to come. But here’s the neatest thing about this under-the-radar midcap stock (with an intolerably irritating radio advertising campaign): Over the last 20 years, price appreciation and dividends have given Valspar a total return of 1,280%. Talk about an under-the-radar stock. 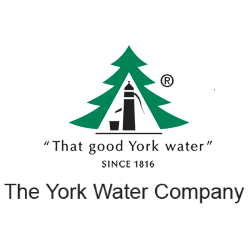 York Water Company (YORW) is a microcap stock (market value of $270 million). Those shares represent an interest in a water utility serving fewer than 64,000 customers in eastern Pennsylvania. Oh, and it has about 100 full-time employees. But make no mistake — this is a dividend stock your great-great-great grandkids will probably still be holding. Indeed, its (only) claim to fame is that it has made consecutive dividend payouts since 1816, making it the oldest dividend stock in the U.S. Even more remarkably, this tiny utility has generated a market-whupping total return of 745% over the last two decades, according to S&P Capital IQ. Article printed from InvestorPlace Media, https://investorplace.com/2014/12/forever-dividend-stocks/.